There are still plenty of distressed homes on the market, and that means that you can get some great deals — if you know where to look. However, you need to be prepared for the realities of buying a distressed property, especially if you are looking to purchase a short sale. A short sale is a real estate transaction in which the seller offers the home for less than he or she owes on the mortgage. The first thing you should realize is that the mortgage lender needs to approve the short sale before it can happen (and many lenders want you to have tried to sell the home for the price of the mortgage for at least three months before agreeing). In a short sale, the mortgage lender basically “forgives” the difference between the mortgage amount owed, and what the home is sold for. In some cases, though, mortgage lenders realize that they can still get more by agreeing to allow a short sale than going through the foreclosure process. If you are looking for a good deal, a short sale may seem like a good option. Buying a distressed property can mean that you save quite a bit. However, you do have to be prepared for some realities. 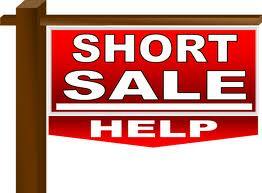 You will need to make sure that you are ready for the ups and downs of a short sale. You are likely to be drained emotionally, and of time. It is also a good idea to get a listing agent who is experienced with short sales. There are a lot of twists and turns, and it can be hard to navigate these on your own. You should also be ready for the bank to back out on occasion. Additionally, it is possible that the seller decides (and qualifies for) a mortgage modification, changing the game. You could go through most of the process and be disappointed. The biggest harsh reality of a short sale for sellers is that you will have to pay income tax on the amount of the loan forgiveness. If you do a short sale, the bank will forgive you the amount, and it will be seen as income by the IRS. So, if you owe $170,000 on your home, and you sell it for $150,000, you will see an “increase” in your income of $20,000. You will have to pay taxes on that amount — and it could bump you into the next tax bracket. While a short sale can seem like a good solution, it is important to consider your options and think things through; short sales also come with unpleasant realities.